Have you ever daydreamed about owning a full-featured digital mixer that was small enough to throw in your backpack between studio sessions or after a long night of live mixing? The Touchmix-8 from QSC Audio may be just such a board. 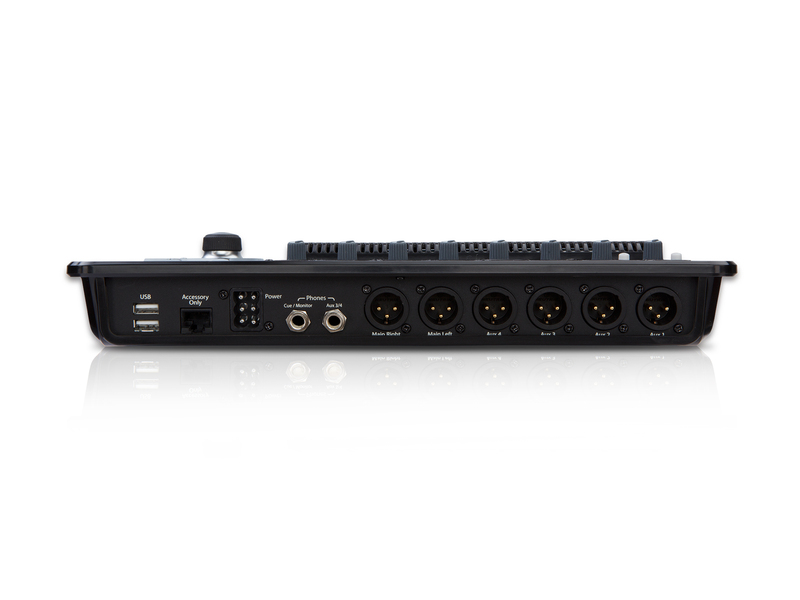 Smaller than a rectange cake pan, the Touchmix-8 manages to cram 12 inputs (8 of those Mic/Line) and a host of flexible outputs into a compact tabletop design. Seriously, the Touchmix-8 is about the size of a small laptop computer! This board has integrated EQs, compressors, and delays on the inputs and the main outputs for a live mixer that's nearly as powerful as your DAW. Mixing and controlling are done on a gorgeous capacitive touchscreen interface that's real-time responsive, but with dedicated trim knobs for when you just want to catch that mic that's feeding back. New to mixing or pressed for time? QSC includes dozens of instrument and vocal signal chain presets with the Touchmix-8. One-touch kick drum with EQ and compression, done. The Touchmix also includes wizards to better automate the shaping and routing processes. Recording is a snap with the Touchmix-8. No PC connection is required. All you need is a USB hard drive. Simply plug your USB hard drive into one the Touchmix-8's USB ports and it can record multitrack files direct to the drive. All files are recorded in high resolution 32-bit .wave files. You can then take those files and play them right back through the Touchmix-8, or import them into your favorite DAW for mixdown. The Touchmix-8 comes included with a USB Wi-Fi adapter for mixing remotely. When you're on the road mixing in different venues and clubs, you never know if the FOH position is ideal for mixing or not until after you've arrived. With the Touchmix-8, you can connect an Apple iOS device (iPhone, iPad, iPod Touch) and connect to it for mixing remotely. Now, even if the FOH position is not ideal, you can walk around the gig and mix from anywhere in the venue. Mix for what your audience will hear, not what you can hear back at the console. The Touchmix-8 doesn't skimp on routing and high end mixing features either. With the Touchmix-8, you get a 4-band fully parametric EQ with high pass filter, noise gate, compressor, and a limiter on every input channel. You also get 8 DCAs and 8 Mute Groups. On the outputs you get a full 1/3 band graphic EQ, notch filters, limiting, and delays. Every great digital mixer needs some great effects as well and the Touchmix-8 has you covered. The Touchmix-16 has 4 stereo DSP effects engines at your disposal. Dozens of signal chain presets for vocals, drums, bass, etc. Dimensions (H x W x D) 3.1" x 13.1" x 9.8"